← Watch me flash on youtube! 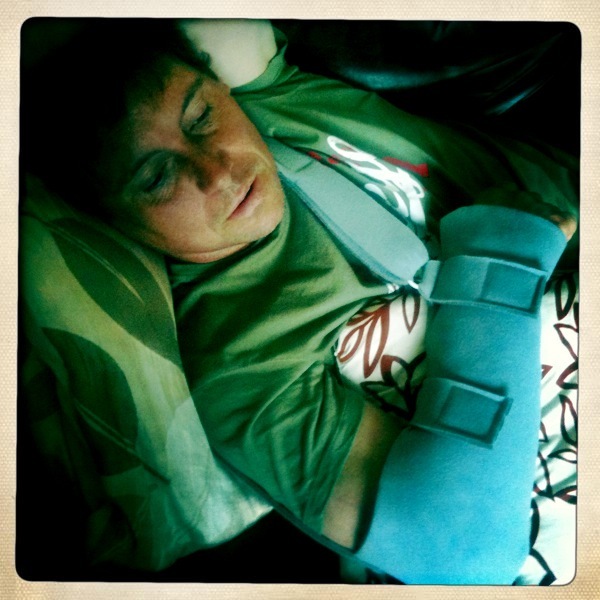 Firstly I must apologise for my lack of blogging of late, this is down to the fact that I’ve been playing Florence Nightingale to my partner John, who recently had a shoulder op. He’s currently in a sling and can’t drive or use his right arm much so is having a long overdue rest from work and enjoying some tlc from moi! I’ve taken some time off work to help him recuperate and am (if I’m perfectly honest) having a great time playing Matron. It’s lovely having time to ‘do’ things, I even went wild on Saturday and defrosted the fridge/freezer! For those of you who know me you will fully appreciate how much I usually hate tasks like this. In fact I don’t just hate cleaning if I’m honest I positively loathe it, I’m just really, really, really bad at it! I can spend hours in one room ‘cleaning’ but nothing much seems to happen other than piles of things I should really have found homes for appear dotted around the room. I really, really must try harder……..(or get a cleaner). Cleaning done I decided to bake some cookies from a recipe I’ve been meaning to try from my friend Jo’s blog, http://twoowls.typepad.co.uk/ for ages. Jo’s blog is always full of lovely creative things from beautiful bunting to mouth-watering brownies, I knew before I started that this recipe wouldn’t disappoint. Jo’s made this recipe for many years and first discovered it in an old ‘Good Housekeeping’ book which resides on her Mum’s kitchen shelf. It’s simple, delicious and for those who don’t like peanut butter or raisins (quite frankly I think you’re mad) you could easily substitute them for chocolate chips, macadamia nuts, cherries etc. So let’s get stuck in! Pre-heat the oven to 190oC, gas mark 5. Put all of the ingredients except for the raisins, into a large mixing bowl and mix together with an electric mixer until well combined. To form cookies, scoop a tsp full of the mixture and roll it into a ball, flatten it slightly and then place onto a greased baking tray (do not place too close together as some spreading will occur). Bake for approx 12-15mins or until golden. Cool on a wire rack, then make a brew and sample, yum! And here’s how we do it, the directions listed below include the reduced cooking time (the original recipe says 20mins simmering where I reduced it to 7 as there were quite a few reviews saying it was too mushy). 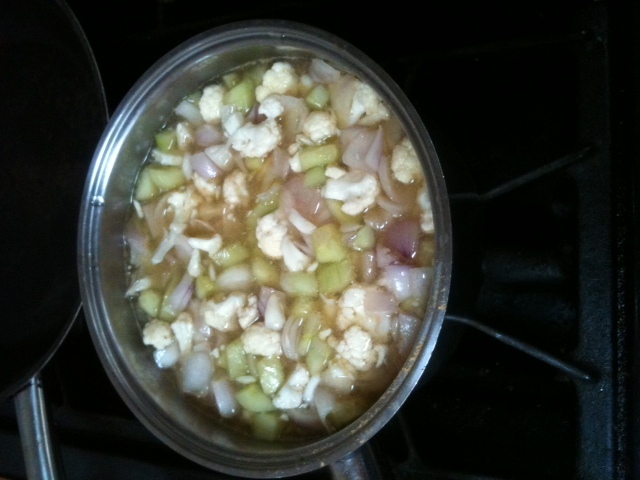 Dissolve the salt in the water and add the cucumber, onions and cauliflower. Cover and leave for 24 hours. Drain the vegetables. In a large pan, blend the sugar, mustard and ginger with 1L of the vinegar. Stir in vegetable mixture, bring to the boil, and simmer for 7 minutes. 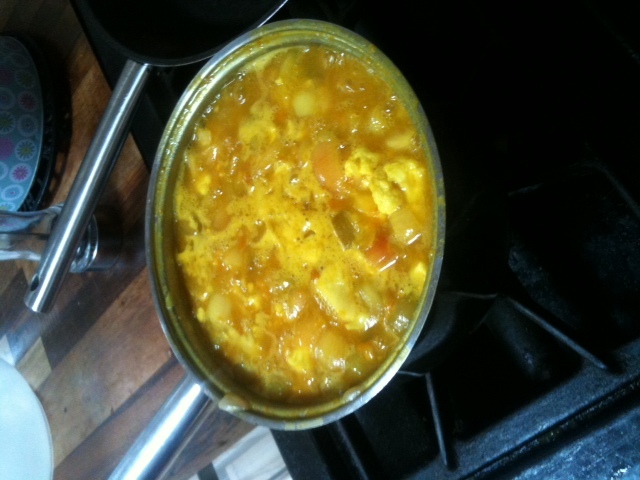 Blend the flour and turmeric with the remaining 400ml vinegar and stir into the cooked vegetables. Bring to the boil and cook for 1 to 2 minutes. At this point it looked a bit runny so I added some cornflour until I got a slightly thicker consistency. Pour into sterilised jars. Well it looks the right colour! In a large stock pot, pour water half way to top with boiling water. Using a holder, carefully lower jars into pot. 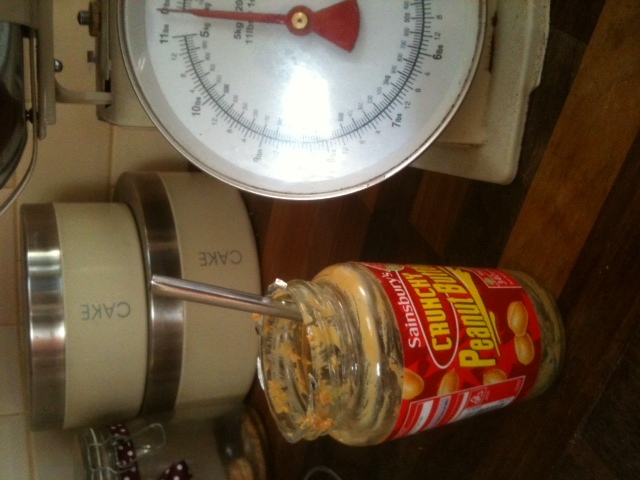 Leave a 4cm (1.5 in) space between jars. Add more boiling water to cover them, about 4cm (1.5 in) above the tops. Bring to the boil and cover, processing for 15 minutes. Remove jars from pot. Put jars on a wood or cloth surface, several inches apart and allow to cool. Jars will be sealed. 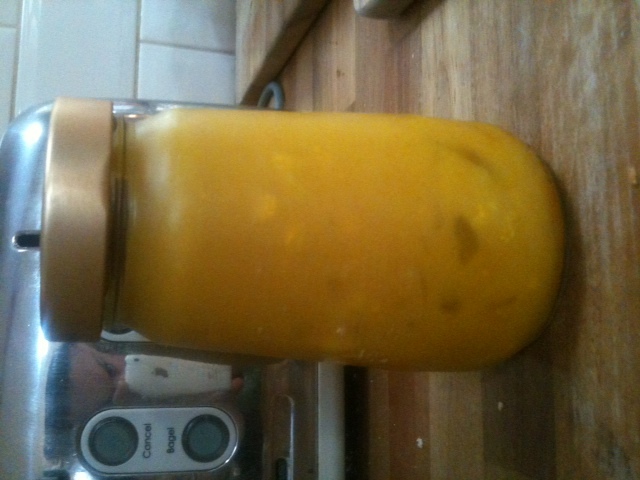 The ingredients made about 12 large jars so I had plenty to dish out to my piccalilli loving friends and family. It’s a very easy recipe to make and can quite easily be adapted, I spotted one person had commented saying they’d used courgettes instead of cucumber and had added sultanas too, this I think I’d have to clear with my chief tester John. It got great feedback from everyone so I’ll most definitely be making it again, the question is, where on earth can I find pickling onions! 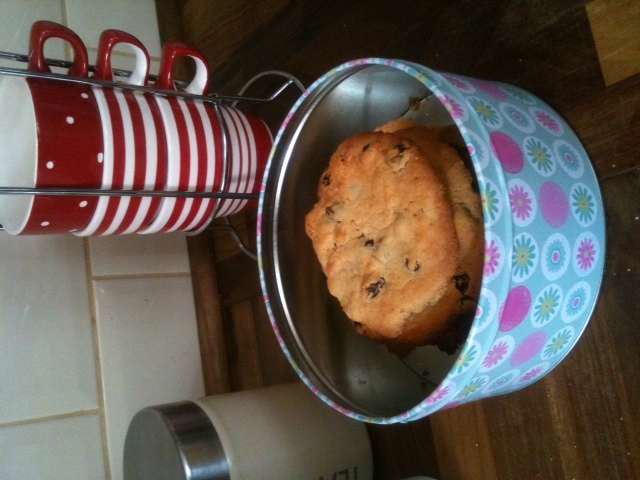 This entry was posted in Baking and tagged baking, Cookies, peanut butter, piccalilli, recipe, tlc. Bookmark the permalink. Those cookies look good….even though I absolutely loathe raisins. Well done productive you!